World Scientific Publishing Company, 9789814354974, 241pp. At some point during childhood, 80 to 90% of all children have a breathing problem. 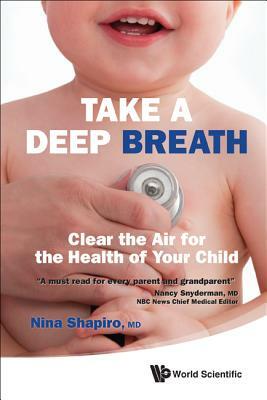 'Take a Deep Breath' is a comprehensive, accessible, and indispensible guide for parents, caregivers, teachers, and healthcare providers on the subject of children's breathing issues.From the uppermost part of the airway -- the nose, to the lowermost part -- the lungs, Dr Nina Shapiro explains which problems are truly worrisome, and which are actually normal stages in a child's growth. 'Take a Deep Breath' will enable you to do just that, take a deep breath, and get a better, clearer understanding of what's going on when a child breathes in and out.